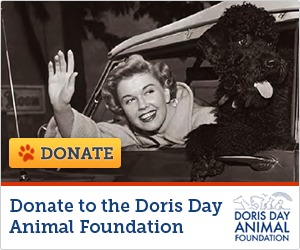 Please vote for the Doris Day Animal Foundation! Calling all Doris fans! Doris and Daisy need you! Please visit http://www.shopforyourcause.com/voting-challenge#.U62DQqhRY00 and vote for the Doris Day Animal Foundation! Doris and Daisy really would love it!